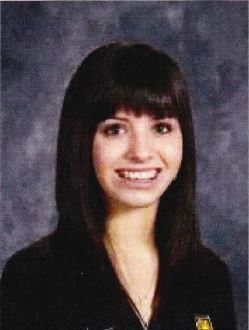 14 year old Alexandra (Ali) Ponte has been missing since Wednesday, September 4, 2013 in Woodland Park, Colorado. Ali was last seen about 7:30 pm when she left home to go to Memorial Park in Woodland Park on September 4, but has not been seen or heard from since. “Come home, just come home. We love her and we want her home safe where she belongs.” That’s the message Chrissy says she wants to get to her daughter. Ali is described as white with a fair complexion. She is 5’5″ tall and weighs about 115 lbs. She has brown hair and green eyes. She’s 14-years-old. She was wearing a bright blue hoodie and skinny jeans. She also had a gray and black Nike backpack. Her hair was pulled back into a pony tail. If you see her or have any information about where she could be call Detective Sean Goings at 719-687-9262. UPDATE I: Alexandra “Ali” Ponte who had been missing since Sept. 4 was found by the Woodland Park Police Department at 9 p.m. Saturday. Alexandra “Ali” Ponte, 14, who had been missing since Sept. 4, was found by the Woodland Park Police Department at 9 p.m. Saturday.